Symphony Nova Scotia announces its 2015/16 concert season! Season includes Mozart’s Requiem, Buck 65, Marc-André Hamelin, Vivaldi’s Four Seasons, and more! Symphony Nova Scotia is delighted to announce its 2015/16 concert season! With guests ranging from violinist Giora Schmidt and pianist Marc-André Hamelin to Buck 65 and the Lord of the Rings’ John Rhys-Davies, Symphony Nova Scotia presents another season of brilliant classical virtuosos, East Coast music icons, and great symphonic music. “There is so much to hear in our 2015/16 season,” says Music Director Bernhard Gueller. “Highlights for me include violinist Giora Schmidt performing in two all-Sibelius concerts; the incomparable Andrea Ludwig singing old and new settings of Schubert songs; the Mozart Requiem; and an English Festival of Elgar, Britten, and Holst. • In celebration of the 150th anniversary of Sibelius’ birth, the great violinist Giora Schmidt performs Sibelius’ beautiful Violin Concerto. • For our annual Remembrance Day concert, we perform Mozart’s stunning final work, the Requiem. • After our last two sold-out Mozart spectaculars, we present yet another all-Mozart concert, this time featuring the intensely passionate Symphony no. 40. • We partner with two outstanding Canadian pianists for two of the world’s most popular concertos: André Laplante performing Tchaikovsky and Marc-André Hamelin performing Brahms. • The always-spectacular Susanne Hou returns to perform Paganini’s fiery Violin Concerto no. 1. • In a very personal concert for Maestro Gueller, we play old and new settings of Schubert’s most beloved songs. • The finale of our season is the annual Festival, this time featuring the music of England. Highlights include hits like Edward Elgar’s moving Cello Concerto, performed by star cellist Shauna Rolston, along with Elgar’s Enigma Variations and Holst’s magnificent The Planets. • Irish international superstars The Celtic Tenors join us for a concert blending Celtic, opera, and pop. • Our Maritime Fusion series brings in some of Nova Scotia’s hottest popular artists, including Rich Aucoin, Ben Caplan, and Meaghan Smith. • We perform the spectacular music of Queen in our annual tribute concert. • Following up on his critically acclaimed and sold-out appearance with the orchestra back in 2008, hip-hop artist Buck 65 (also known as CBC Radio 2 Drive host Rich Terfry) makes his long-awaited return. • Sci-Fi Symphony features some truly epic music, with an epic celebrity host to match – The Lord of the Rings’ John Rhys-Davies (a.k.a. Gimli the dwarf)! • Legendary 95-year-old conductor Howard Cable brings us the Best of Big Band. • After a hugely popular sold-out show with us in 2012, Canadian superstar Dan Mangan returns for two nights of rich, emotional music. BAROQUE SERIES: expanded to include evening performances! • The orchestra presents its first-ever performance of Bach’s glorious Christmas Oratorio, conducted by the inimitable Kevin Mallon. • We welcome Canadian recorder virtuoso Matthias Maute for Baroque powerhouses from Bach, Vivaldi, and Telemann, including highlights from Handel’s stunning Water Music. • Baroque specialist Jeanne Lamon returns to lead the orchestra in a concert featuring some of her favourite music from the Court of Dresden, the home of Europe’s finest 18th-century orchestra. • Our former Concertmaster Robert Uchida returns to lead the orchestra in some of the Baroque period’s most popular music, including Vivaldi’s beloved Four Seasons. • Our hit new Family Series returns with three more concerts of FREE musical fun for all ages at the Maritime Museum of the Atlantic. • Our Alderney Encore series returns for the third year, with repeat performances of our most popular classical concerts at Dartmouth’s Alderney Landing Theatre. • We partner with Canada’s Ballet Jörgen for Sleeping Beauty, featuring Tchaikovsky’s dazzling score performed live by our orchestra. • We once again present the annual hit The Nutcracker, celebrating its 25th anniversary as Halifax’s favourite holiday tradition. 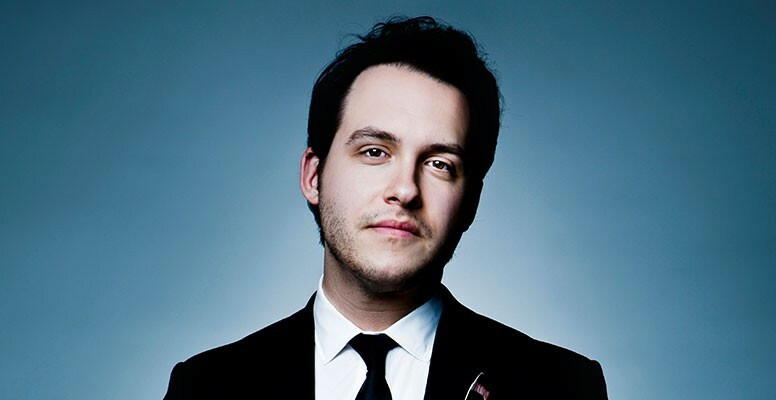 • By popular demand, harpsichordist Alexander Weimann returns to lead this year’s Messiah. • We perform at the Open Waters Festival in a concert featuring works from 20th- and 21st-century composers. • We partner with the Nova Scotia Youth Orchestra for a rare performance of Shostakovich’s powerful Symphony no. 10. Full details on the 2015/16 season are available now at our brand-new website at symphonynovascotia.ca. Or, to request a print brochure by mail, please e-mail us at marketing@symphonyns.ca. Ticket packages for our 2015/16 concerts are on sale now! Package holders save up to 35% over regular ticket prices and receive a host of exclusive benefits, including first choice of seats for all concerts. Well over half of Symphony Nova Scotia’s 2014/15 concerts to date have sold out, and purchasing a ticket package is the best way to ensure you can attend the concerts you really want to see. Order today at 902.494.3820 or 1.800.874.1669, or in person at the Dalhousie Arts Centre Box Office, 6101 University Avenue, Halifax. Single tickets for 2015/16 will go on sale August 4, 2015.